Another Bald Eagle nest has been added to the local observation circuit! 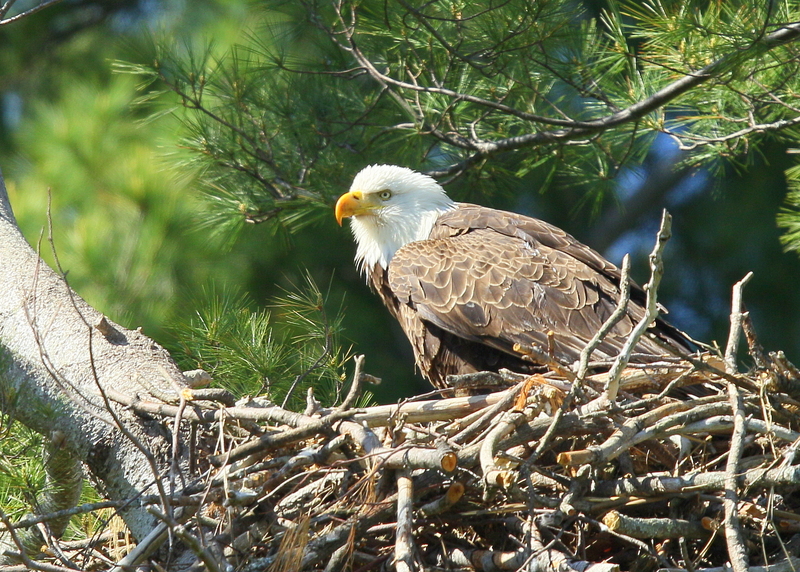 This nest is in the northeast area of Essex county and near the Merrimack River. It has been productive the last few years and chicks from this nest have been seen and photographed on the Merrimack in Lawrence, MA. The female is on nest with possibly 2 chicks ready to make an appearance very soon!